ALL ABOARD . . . FOR RAIL TRAVEL! ﻿ Rail travel’s hypnotic rhythm, unique smells, and the sense of adventure stir the imagination. I love trains and have fond memories of travel from Southern California to visit my grandmother in Oklahoma and back home several times between ages three to six. Later after my family had returned to Texas, I made two trips as a teen from Lubbock, Texas to California to visit relatives there. 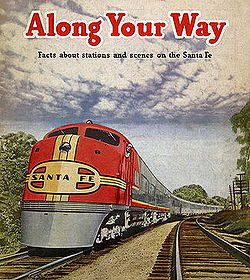 Wonderful memories reappear when I think of the Santa Fe Chief. Do you have memories encompassing "riding the rails"? Did you have a sleeping compartment or sit up all the way as my family did? No matter what your trip involved, a few basic facts can offer enlightenment to the advent of personal travel by train. Choosing which facts to relate and which photos to share is a problem. Because I love trains so much and have used them in my western historicals, I have a LOT of information. I've visited train museums, called them, and written. Most of the photos are black and white, and some of my favorites are too dark to scan and use, but I'll share some with you. The first commercial rail cars were in England in—believe it or not—1630--and were drawn by horses over wooden rails to transport coal. By the mid 1700’s, iron rails had replaced wood. The first steam-powered land vehicle built by Frenchman Nicholas-Joseph Cugnot in 1769 laid the foundation for future locomotives. In the United States, Congress had invested heavily in the Eerie Canal and other waterways and resisted the idea of railroads. Public opinion eventually won. 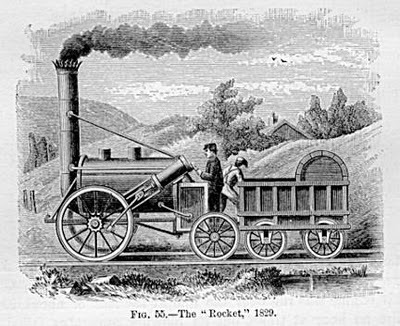 In 1827, the Baltimore and Ohio Railroad was the first railroad charter granted in the United States. By 1852, its three hundred miles of track made this the longest railroad in the world. In 1862, President Abraham Lincoln signed the provision for a nationwide rail line. Once the transcontinental rail lines were completed in 1869, America was opened to settlers from all over the world. At first used only for transporting goods, passenger travel soon developed. Railroad from Albany to Schenectady--imagine the soot! A wide variety of facilities awaited passengers. On some lines, the coaches were little more than rough structures that offered no comfort. Wooden benches with high backs—many times without a cushion of any kind—tortured passengers on a long journey. Still, it probably was no worse than riding in a wagon. At least the train made the trip faster. Other lines had coaches with padded bench seats, and still others with movable armchairs. Toilets sometimes were no more than a curtained off chamber pot offering minimal privacy. Summer forced passengers to choose between tolerating soot, smoke and dust with the windows open, or sweltering with windows closed. In winter, passengers near the potbellied stove roasted while those at the other end of the car froze. Hmmm, sounds like the floor furnace of the house in which I grew up. <G> Sometimes cars were reserved for women and their escorts and no males traveling without family were allowed in these coaches. Often as not, all travelers jumbled together. Soon lines developed luxury cars designed to mimic fine hotel lobbies. A major advance occurred when George M. Pullman began his line of luxury cars called Pullman Palace Cars. His company developed hotel cars, sleeping cars, club cars, dining cars, and drawing room cars. 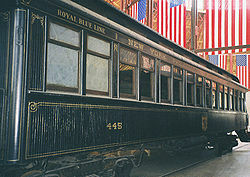 According to George Deeming, Curator of the Railroad Museum of Pennsylvania, these coaches required high fees similar to luxury hotels and were not available to the masses. An early sleeping car had been built in 1838, the Chambersburg, for use between Chambersburg and Harrisburg, PA. The first Pullman sleeping car appeared in 1859 at only forty feet long. It was a reconstructed wooden day coach with metal wheels and a low, flat roof. A tall man was likely to bump his head. It had ten upper and ten lower berths with mattresses and blankets, but no sheets. A one-person toilet stood at one end. Two small wood-burning stoves furnished heat and candles provided light. 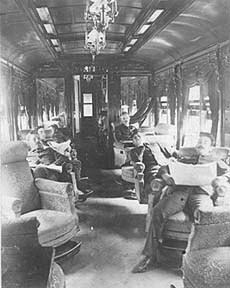 In 1865, the first Pullman sleeping car came into service. It featured the first upper berth that folded out of sight for daytime, heated air from a hot air furnace under the floor, upper deck window ventilation, and roomier wash rooms. This car had black walnut interior with inlay or mirrors between windows. In another ten years, the length had increased to seventy feet with even more elaborate wood interior and luxurious plush seats. girls, Tony Curtis looking up. Pullman coaches offered privacy with curtained off sleeping quarters or wood paneled compartments, and separate toilets for men and women. At left is a scene from the hilarious movie "Some Like It Hot" which shows Jack Lemmon and friends in his berth while Tony Curtis looks on. Perhaps this isn't relavent to my post, but I like it. Hey, it does show life on a Pullman Palace Sleeping Car. "Scoot for the train when gong sounds"
At first trains stopped for passengers to debark and eat or even to spend the night in a hotel, as depicted in stories of the Harvey Girls and Harvey Hotels. Time always pressed diners and the traveler had no control over what food was available. Some dining places—due to necessity for speed—served poorly prepared rations. A few sites deliberately cheated travelers with slovenly hygiene and half-cooked food. Others, such as Harvey, maintained high standards. At a dining stop, passengers rushed off the train for a hasty meal, then rushed back on board when the gong sounded. Travelers were forced to gulp and run if they were lucky enough to beat the crowd and get served. When I rode with my mom, vendors also came through selling sandwiches and drinks for those who couldn't afford the dining car. Eating in the dining car was arranged by cars and the porter would tell you what your "gong" would be: one or two gongs. Very efficient. linens on tables, china plates, and uniformed server. The advent of the dining car meant passengers could eat a proper meal on board, provided they had the cash. 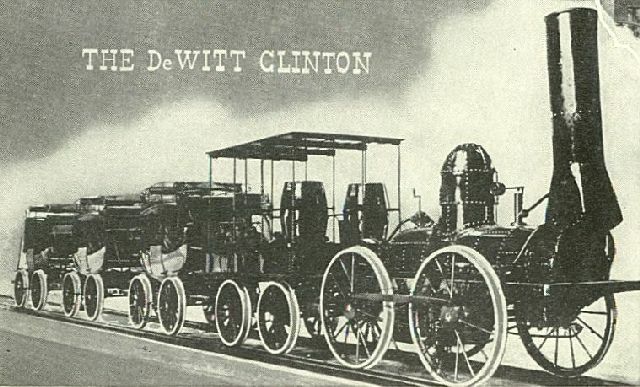 The first dining car, the Delmonico, came into service in 1868 on the Chicago & Alton line. Within ten years, they were on most lines. In 1878, a full meal cost seventy-five cents, at a time when a common laborer made less than that for an entire day’s work. The meals were six courses and sumptuous. Pullman dining cars marketed luxury. Fine tablecloths had PPCC woven into the cloth, for Pullman Palace Car Corporation. Uniformed servers delivered well-prepared food to tables set with fine china, crystal and silver. Some cars had fresh flowers in built-in silver vases at each table. The Great Western Railway constructed a bridge across Niagara Falls to link the United States and Canada in 1855. It was not until 1882 that a bridge crossed the expanse of the Mississippi River at Memphis. Prior to that date, trains departing West from Memphis were ferried, one or two cars at a time, across the Mississippi, as is used in my book THE MOST UNSUITABLE HUSBAND, also now available at Smashwords and Kindle at the same links as above. In 1869 the first refrigerated rail car appeared and soon allowed the transport of fresh produce and meats. 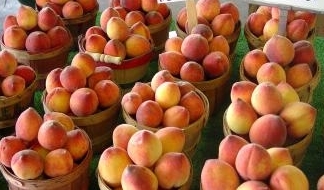 In my area, thousands of peaches were shipped to Chicago on refrigerated cars. Consumers were able to receive many varieties of fresh produce not available in their area. ﻿﻿﻿ One of the significant changes brought about by the railroad in the West was elimination of the great cattle drives to the Midwest or Northern markets. Centralized rail shipping allowed ranchers to ship from locations near home. This relates directly to those of us who write western historicals with ranchers and cowboys. ﻿ After the Civil War, train robberies occurred, particularly West of the Mississippi River. Former soldiers carried out many of these, some returning home and others looking for an easy income. Usually no one was injured, but watches, wallets, money and jewelry were collected from the passengers. Sometimes robbers forced passengers to drink liquor or sing as added aggravation. Towns grew and flourished along the railroad. Those communities bypassed by the line often withered and disappeared. Competitions arose between communities to attract the railroad, often with bitter result. At times, towns offered bonuses to the railroad officers if the rail line came through their town. For those fortunate enough to live near a rail line, products never before seen became available. Railroads brought easier travel, dependable shipping, and availability of goods to change America forever. Moreover, railroads opened up the West for settlers. Spurs assist reins and a rider’s natural commands of leg, seat, hands, and voice to urge a horse to step forward, sideways, or execute complicated movements such as dressage or a Lipizzaner’s "Airs Above The Ground." 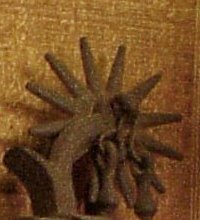 Celts used spurs during the 5th century BC and their usage was also mentioned by the ancient Greek, Xenophon (c 430-354BC), an historian and soldier. In medieval times, squires’ spurs were silvered. A squire traded up when he “won his spurs,” a reference to gaining his knighthood and the gilt spurs that accompanied that honor. Spanish Conquistadors wore Espuela Grande, the “Grand Spur," with rowels as large as six inches. 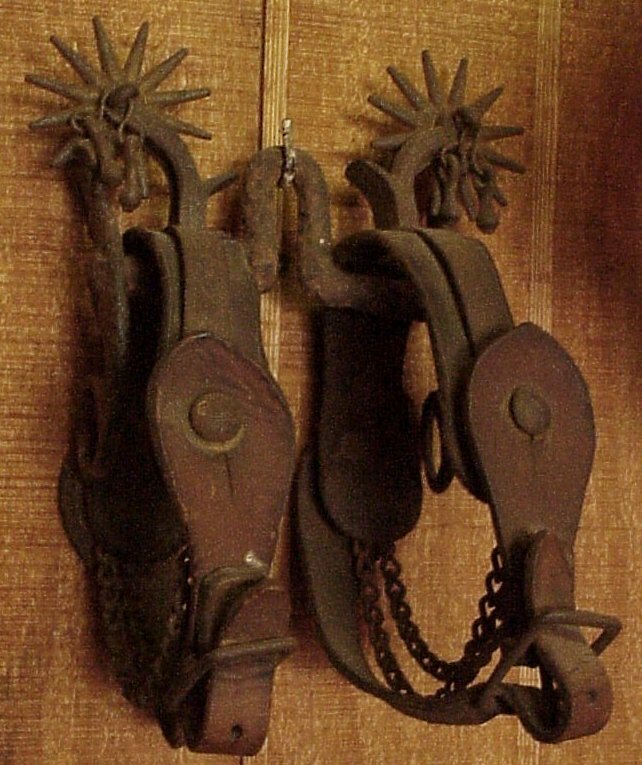 The Old West's US Calvary didn't award spurs to its new members, nicknamed "Shave Tails" for their assignment to horses whose tails had been shaved to warn other riders to give the novice more room. It was only after the amateur had proved capability with horse and saber that he was awarded his Spurs. Troopers often spent an entire month's pay to buy distinctive sets engraved with his mount's name, or his sweethearts. The traditional Calvary spur is usually a Prince of Wales type that's also popular in English style riding. It's sleek in design because the rider’s leg is positioned close to the horse and the preferred blunt tip helps provide precise aid guiding the horse into lateral and complex movements, such as pirouettes. Western spurs are heavier due to the rough country and have a longer neck to offset the saddle’s longer stirrup set and thicker fender that puts the rider’s leg further from the horse. Metal buttons, either attached to the heel band or to hinges on the heel band, fit through slits in the spur strap to fasten both pieces together. There may also be small curved-up hooks, “chap guards,” on the neck (shank) between the heel band and rowel. The hooks keep the chaps from interfering with the rowels. 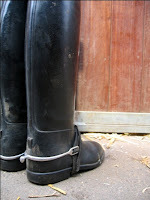 A tie-down (a short length of chain, leather, or rubber) goes under the instep of the boot, tight against the heel, to stop the spur from rotating upward. Some cowboys add small metal jingle bobs or jingo bobs near the rowel to create a jingling sound whenever they take a step. That’s the jingle fans of Clint Eastwood hear in many of his western movies. 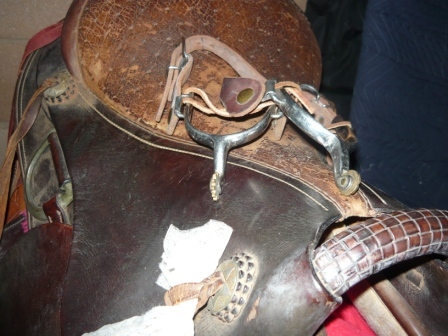 Roper's saddle-higher cantle, and taller, heavily wrapped swell/horn. 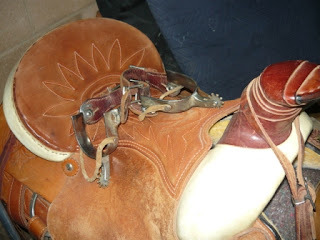 It only takes a few minutes in the saddle to teach a rider new to spurs how to wear them--a spur’s strap buckle goes on the outside of the boot which positions the spur so that the neck points downward, giving a smooth roll of the rowel against the horse’s side in an upward motion as the rider brings her heel in and back. It’s not the ease of reaching the horse’s side with the spur or the difficulty of making that contact that tells the rider she’s got her spurs on right. 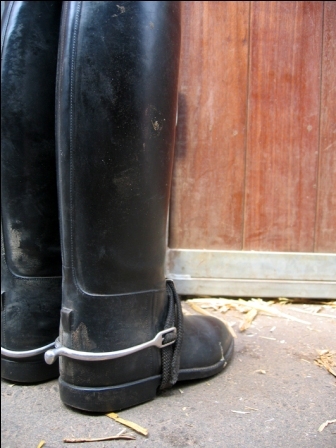 If the spur strap buckle rests against the inside of the boot, the stirrup rubs against it, quickly giving the rider a sore spot. Better her than her horse! In the picture of my husband's roping saddle, you'll notice the leather strap flopped over the bottom spur. That strap is the spur's tie-down, described earlier, that fits between the sole of his boot and his boot heel. Chain is the preferred tie-down as it holds up to the friction and wear of walking. Of course, a cowboy would rather ride his horse five feet than walk that distance. BTW, that roping saddle is ten times heavier than my Australian saddle. The reinforced construction is necessary to stand up to the antics of the animal in the rope's loop! Notice the rowels on my spurs in the pic on the lower right are practically smooth while my husband's have a deeper tooth. He's ridden tougher country on less "enjoyable" horses. lol Riding is the one place I want to simply enjoy rather than be challenged. My Australian saddle with braided handle rather than horn. Spurs, like the brothel tokens I posted about last month, have become a popular collectors item. Possibly one of the most famous spur makers was Oscar Crockett. Born in 1887 in Pecos, Texas, he opened his first blacksmith shop in 1916 in Pawhuska, Oklahoma. He left Oklahoma for Kansas City where he worked for or with C. P. Shipley until 1920 when Oscar bought out Shipley’s bit and spur department, creating the Crockett Bit and Spur Company with his uncle, W. Brice. Oscar and his uncle prospered, eventually moving the company to Lenexa, Kansas. By 1940, Crockett Bit and Spur Company supported 18 workers and sold 105 bits and 177 styles of spurs. Oscar made one last move, to Boulder, Colorado, in 1943. His business continued to grow and gain worldwide recognition until his death in 1949 when his wife sold out to James Renalde, owner of the Denver Metals Foundry. A collectible spur made by Oscar will have “CROCKETT” marked inside it. A “CR” stands for Crockett Renalde. If the spur has an anchor mark, it was made by Judd and Anchor, a rival company. This post is just a nibble of the fascinating information available on line. I highly recommend you take a few extra minutes and visit the Lipizzaner, US Calvary, and Western spurs links. Thank you. I enjoyed our visit. I love a good western --but every once in a while a non-western story comes to me that I just can't ignore. That's what happened a few years back with The Model Man. It was my first full length publication and was released from The Wild Rose Press in March of 2008. Last month it was released on Audiobook. I can't describe what a thrill it was to hear my characters speak through someone else and to hear their interpretation of the story! Whether you prefer print or audio books, I thought I'd share a snippet of it here today. 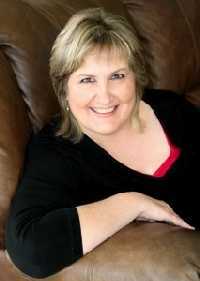 Single mom and romance novelist Kelly Michaels has no time for a man in her life. But when mega-famous cover model Derek Calavicci puts the moves on her at a romance writers’ conference, she succumbs to temptation. Common sense prevails, however, and after a few passionate kisses she turns him down; she has impressionable teenagers at home, after all, she doesn’t need a one-night-stand with a much younger man, no matter how hot he is. When photos of their passionate moonlight kiss hit the tabloids, her agent has to do some fast footwork to save her reputation. Will the notorious bad boy go along with her scheme? Derek rarely hears a woman say “no” – it’s been that way his entire life. If Kelly isn’t interested, he’s not going to push her-- even if she does melt like ice cream on a hot sidewalk every time he touches her. But when an unexpected opportunity falls into his lap by way of Kelly’s scheming agent, he jumps at the chance. Pretend he’s in love with Kelly Michaels for two weeks? No problem. After all, the lady may say she’s never going to sleep with him... but he's got two weeks to convince her otherwise. Derek Calavicci opened the door to his penthouse apartment and stepped inside. Home, although it never really felt that way. At one time the navy and pewter color scheme, so carefully chosen by the designer, the expensive but tasteful furniture and state-of-the-art gadgets had soothed him. But not lately. He set his keys on the kitchen counter and picked up a stack of personal mail waiting there. Gabrielle, his younger sister and personal assistant, strolled into the room. Dressed in her robe and fuzzy pink slippers, she had a toothbrush sticking out of one side of her mouth and a towel wrapped around her head. She often stayed at his place when he was gone, and judging from the clothes, shoes and magazines strewn about, she had done so this past week. “So, how was Tokyo?” she asked around the toothbrush. He didn’t answer her, merely shook his head in wonder. He headed for the sofa and flopped down, finally allowing the exhaustion of the long flight and the time change to overtake him. “There’s a fourteen-hour time difference between here and Tokyo. I’m beat.” He leaned his head back and closed his eyes, grateful that he was no longer in motion. Not in a plane, not in a limo, just sitting still. “You’re never here,” she agreed, holding out a note pad for his inspection. “You mean the ‘and when are you going to settle down’ stuff?” Now that he’d turned thirty, that was all anyone wanted to know. His younger brother’s engagement had only made it worse. The Model Man is available in print and digital format from The Wild Rose Press, and on audio book by Auidolark, where it’s a new release special! Life on the American and Australian frontiers have a strikingly similar history. For example, take the Australian Act of Selection, which is the basis for my novel FRONTIER WIFE, and compare it with The American Homestead Act. In the colony of Victoria the 1860 Land Act allowed free selection of crown land. This included land already occupied by the squatters, (wealthy land owners) who had managed to circumvent the law for years and keep land that they did not legally own. In 1861 the Act of Selection was intended to encourage closer settlement, based on intensive agriculture. Selectors often came into conflict with squatters, who already occupied land and were prepared to fight to keep it. The bitterness ran deep for many years, sometimes erupting into violence. The first permanent homesteads on the Australian frontier were constructed using posts and split timber slabs. The posts were set into the ground, about three feet apart, according to the desired layout. Slabs of timber were then dropped into the slots. A sapling or similar, straight piece of timber ran across the top of the posts, which allowed them to be tied together so they could support the roof. Clay was often plugged in between the joins and splits of the cladding to stop draughts. The internal walls were sometimes plastered with clay and straw, lined with hessian/calico, white washed or simply left as split timber. Roofs were pitched using saplings straight from the bush and often clad with bark. Early settlers learnt from the aborigines that large sheets of bark could be cut and peeled off a variety of trees and used as sheets to clad the roof. 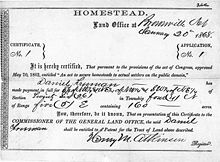 The original Homestead Act was signed into law by President Abraham Lincoln on May 20th, 1862. It gave applicants freehold title to up to 160 acres of undeveloped federal land west of the Mississippi River. The law required only three steps from the applicant - file an application, improve the land, then file for a deed of title. Anyone who had never taken up arms against the U.S. government, including freed slaves, could file a claim on the provisions that they were over the age of twenty one and had lived on the land for five years. The Homestead Act's lenient terms proved to be ill-fated for many settlers. Claimants didn’t have to own farming implements or even to have had any farming experience. The allocated tracts of land may have been adequate in humid regions, but were not large enough to support plains settlers where lack of water reduced yields. Speculators often got control of homestead land by hiring phony claimants or buying up abandoned farms. Most of us visualise the frontier home as a rustic log cabin nestled in a peaceful mountain valley or on a sweeping green plain. But in reality, the "little house on the prairie" was often not much more than a shack or a hastily scratched out hole in the ground. In the treeless lands of the plains and prairies, log cabins were out of the question so homesteaders turned to the ground beneath their feet for shelter. The sod house, or "soddy," was one of the most common dwellings in the frontier west. The long, tough grasses of the plains had tight, intricate root systems, and the earth in which they were contained could be cut into flexible, yet strong, bricks. Ground soaked by rains or melting snow was ideal for starting sod house construction. When the earth was soft and moist, homesteaders would break the soil with an ox- or horse-drawn sod cutter, which was an instrument similar to a farming plough. Sod cutters produced long, narrow strips of sod, which could then be chopped into bricks with an axe. These two- to three-foot square, four-inch thick sod bricks were then stacked to form the walls of the sod house. Soddy roofs were constructed by creating a thin layer of interlacing twigs, thin branches, and hay, which were then covered over with another layer of sod. To save time many sod houses were built into the sides of hills or banks. Some settlers gouged a hole in a hill side, so they only had to build a front wall and roof. As a result of their extremely thick walls, soddies were cool in the summer and warm in the winter. Soddies were also extremely cheap to build. Of course, there were drawbacks to sod-house living. As the house was built of dirt and grass, it was constantly infested with bugs, mice, snakes. The sod roofs often leaked, which turned the dirt floor into a quagmire. Wet roofs took days to dry out and the enormous weight of the wet earth often caused roof cave-ins. Even in the very best weather, sod houses were plagued with problems. When the sod roof became extremely dry, dirt and grass continually rained down on the occupants of the house. Homesteaders could often build a log cabin in a matter of days, using only an axe and auger. No nails were required for the task. The first step in construction was to build a stone or rock foundation, to keep the logs off the ground and prevent rot. Once the foundation was laid, settlers would cut down trees and square off the logs. These logs were then "notched" in the top and bottom of each end then stacked to form walls. The notched logs fitted snugly together at the corners of the cabin, and held the walls in place. After the logs were stacked, gaps remained in the walls. Settlers had to jam sticks and wood chips into the gaps, then they filled in the remaining gaps with cement made out of earth, sand, and water. Fireplaces were built of stone, and often had stick-and-mud chimneys. Most cabins had dirt or gravel floors, which had to be raked daily to preserve their evenness. 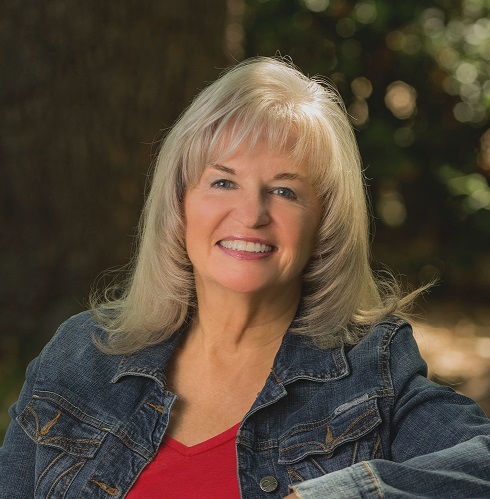 Margaret's novel FRONTIER WIFE is published by The Wild Rose Press. BLURB: Only in the new world can a highborn young Englishwoman and a tough frontier man ignite the passion that will fulfil their hopes and dreams in ways they never imagined possible. Hidden behind her fragile English rose beauty, beats the heart of a courageous young woman. She will need all this strength to survive the unforgiving heat, and the dangers lurking around every corner. 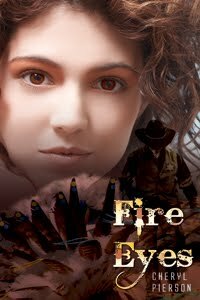 Lost in the bush, captured by a feral mountain family, raging bushfires are nothing, compared to the danger she faces if she gives her heart to Adam Munro. Adam Munro, a rugged frontier man, has no room in his heart to love a woman. All he ever wanted was a presentable wife who would provide him with heirs. He didn’t need passion in his life, not until he met the beautiful English rose living next door to him. 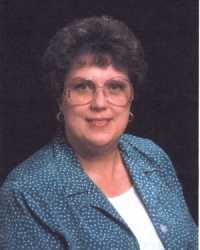 Margaret Tanner belongs to the Romance Writers of Australia, the Melbourne Romance Writers Group, and EPIC. She has won or been commended in competitions on several occasions. In February 2010, she won the prestigious Australian Author of the Year Award from AussieAuthors.com for the second time. Her World War 2 novel, THE TROUBLE WITH PLAYBOYS, was 3rd in the 2010 Preditors and Editors Poll. 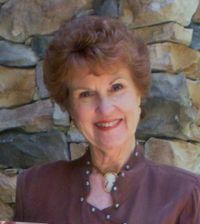 Her novel WILD OATS is a finalist in the 2011 EPIC Awards in the historical romance division. 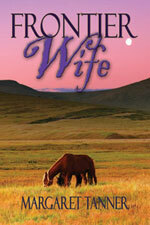 FRONTIER WIFE won 1st in the historical romance section of the 2010 Readers Favorite Award. DEVIL'S RIDGE from Whiskey Creek Press is a winner of the Grab a Reader contest held at WRDF. 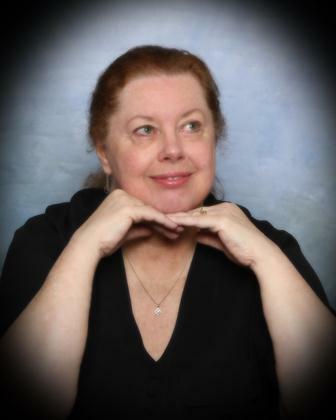 She has had numerous short stories published over the years, but writing historical romance novels is her passion. She is married with three grown sons, and one grand-daughter. Margaret lives near Melbourne, Victoria, Australia. She has recently reduced her working hours as a medical typist, to concentrate on writing. Dangerous Persuasion, was inspired by a true story that happened to my Texas grandmother's uncle in Texas after the Civil War. Following the end of the war, General Shelby crossed Texas to enter Mexico. Lawless bands of raiders also crossed Texas at that time taking whatever they could find of value. One such group of raiders demanded food and bedding from my great great grandmother, Mrs. Ihnken. My novella, Moonlight Desperado, was inspired by her experience although my fictional story does not represent anyone in my family. Her story and her son's story also inspired my full length western historical, Dangerous Persuasion. One moonlit night in June, loud "hellos" were heard outside their home. Mr. Ihnken and his older son had left town on business. Small, petite Mrs. Ihnken was alone with four young children, three little girls and one boy who was about ten or so. She walked outside on the front veranda to see who called out. Against the bright moonlight she saw the dark silhouettes of twenty-five men on horses looming over her. One of the men spoke up and ordered her to bring out all her mattresses and put them in the yard so they could sleep there. She protested but the man insisted. She realized she faced the feared gang of desperados the town had heard about. She went to work and carried out the bedding, placing it where the men directed. The leader instructed her to cook supper for all of them. While following his orders she managed to keep the men from discovering the family store, and they later left peacefully. In a couple of days, they returned and demanded she provide another meal. The men wandered around the homestead and when a renegade soldier discovered the store, they proceeded to take everything. Finding the old iron safe, the leader told her to open it. Mrs. Ihnken played for time, protesting it contained nothing but some family jewelry which had no value. He ignored her protests and insisted she open it. Her young son stood by her side, and as she bent over the safe, she whispered to him to run for help. The leader heard her frantic whisper to her son and drew his pistol. At the sound of other pistols being drawn, she turned and found her son held at gunpoint by several men. The band of renegades eventually left, taking her jewelry and legal documents. They had no use for the documents and discarded them in the brush along their way out of town. Before they left the area, they hired two men of prominent families to guide them to El Paso. The guides were later found dead beside the road. Years later, Mrs. Ihnken's son, now grown, entered a bank to do business in a town in another state. He was directed to the back office to meet the owner of the bank. When he walked into the office, the owner held out his hand in greeting. The young man recognized him but refused to take his hand. He explained that he wouldn't shake the hand of the man who had held a gun to his belly when he was a boy. This true story about my Texas family inspired my fictional story, Dangerous Persuasion, about undercover Ranger, Kurt MacConnor, who is driven to find and bring in the the murderous outlaw he faced in a bank robbery when a young Texas Ranger. Undercover Ranger Kurt MacConnor has vowed to arrest an outlaw leader to settle a debt. Cassie Leland is determined to protect her father and their ranch from outlaws. When feisty Miss Leland lands in MacConnor's lap, passion explodes. MacConnor endeavors to protect Cassie Leland from dangerous outlaws, but his passion for her may be the biggest threat. Dangerous Persuasion will be released as an ebook on March 30, 2011, At Siren Bookstrand under my Claire Adele author name. It will also be out in print later this year. I hope you'll enjoy the story about Kurt MacConnor and Cassie Leland. This was an exciting story to write. What true stories are your favorites? Do you have an inspiring family story to tell? Whenever I read a historical romance which is set in the Old West I'm always fascinated by the historical tidbits of information the author includes in the story setting and her characters. A long time ago after visiting a very special place in America, I decided I wanted to write a historical romance revolving around that special place. I started the book but never finished it. Maybe someday I'll return to that story before the memories of the Badlands fade from my mind. 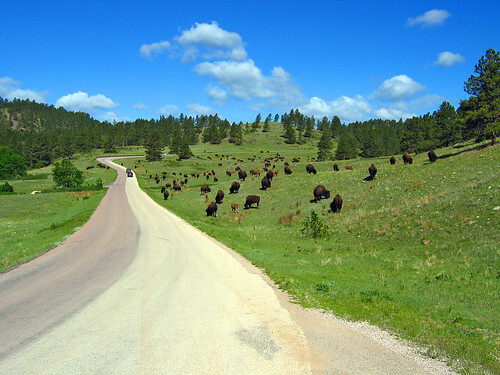 If you ever have the chance to visit the Black Hills of South Dakota you'll understand why I believe the area would make a fantastic setting for a historical romance. I feel fortunate I was able to visit Custer State Park, Mount Rushmore and the Crazy Horse monument as well as many off-the-road tourist attractions in the area. There's nothing like having to stop for a herd of buffalo, thundering across the road in front of your car to imagine Indians on horseback chasing the majestic animals. Until the trip to Custer State Park I had only viewed buffalo up close in zoos. Seeing them in the wild, twenty feet from your car window gives you a sense of the awe these animals inspired in Indians and buffalo hunters. The drive to Mount Rushmore was a little harrowing for us—we had to pull off the road when a sudden hail storm hit. Afterward the sun came out and we followed the rainbow up to the monument. During a prospecting expedition in 1885, Mount Rushmore was named after Charles E. Rushmore, a New York lawyer. Originally the mountain was known to the Lakota Sioux as Six Grandfathers. As Six Grandfathers, the mountain was part of the route that Lakota leader Black Elk took in a spiritual journey that culminated at Harney Peak. From 1876 to 1877, the United States asserted control over the area, a claim that is disputed on the basis of the 1868 Treaty of Fort Laramie. Among white American settlers, the peak was known as Cougar Mountain, Sugarloaf Mountain, Slaughterhouse Mountain, and Keystone Cliffs. South Dakota historian Doane Robinson is credited with conceiving the idea of carving the likenesses of famous people into the Black Hills of South Dakota in order to promote tourism in the region. Sculptor Gutzon Borglum decided the likenesses of four presidents would be carved into the mountain. Borglum's choice of presidents is not without controversy. Some allege he chose Washington, Lincoln, Jefferson and Roosevelt because the four men ruled during the time of the acquisition of Native American lands. Gutzon Borglum was a white supremacist and active member of the Ku Klux Klan. After securing federal funding, construction on the memorial began in 1927, and the presidents' faces were completed between 1934 and 1939. Not everyone approved of the decision to carve four American presidents on a mountain that held spiritual significance for the Lakota tribe. 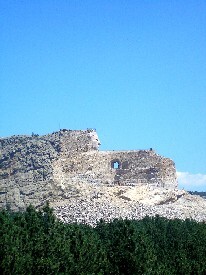 In response, a memorial to Crazy Horse is being carved in the Black Hills 17 miles away from Mount Rushmore. I was lucky enough to see this monument up close. Once completed the Crazy Horse Memorial will be the largest outdoor sculpture in the world. Work began in 1948 by sculptor Korczak Ziolkowski. Though the sculptor died in 1982, his wife and family continue the work with the Crazy Horse memorial Foundation. Crazy Horse was born on the Republican River around 1845 and was killed at Fort Robinson, Nebraska in 1877, barely living thirty-three years. Below is a photo claimed to be of Crazy Horse but historians argue that the few photos floating around of the great warrior are not him because Crazy Horse refused to allow his photograph to be taken. Anyone else care to share a favorite place that's found its way into a book, poem, song, or short story you've written? This past month has been really rough for me. On Feb. 16th, my mother went into the hospital and spent the next 2 weeks in ICU, 12 of those days on a ventilator. Though still in the hospital at this time, she is, I’m happy to say, making a slow, but what looks to be a full recovery. 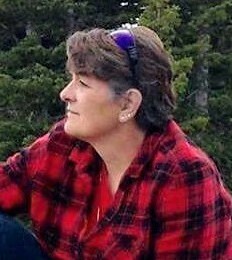 I appreciate the many prayers and good thoughts uplifted in her name that I know my fellow Sweethearts of the West sent her way. Because I’ve spent most of the last month at the hospital, I’ve not been able to do much in the way of writing or research. So, I’m going to fall back onto one of my tried and true blog posting – a vocabulary test. No, not for me….for you. The words and their definitions are from WESTERN WORDS: A DICTIONARY OF THE OLD WEST by Ramon F. Adams. Just match the words to what you think are their correct definitions. Leave a comment with your ‘test’ answers in the comment section. On Wednesday, I’ll draw a winner from those commented for a “Ride ‘em Cowboy” wall plaque. Ex. 20-Y, 21-X, 22-Z. Two or Six Petticoats? Which would you be? LEIGH GREENWOOD--REAL MEN WRITE AND READ ROMANCE!